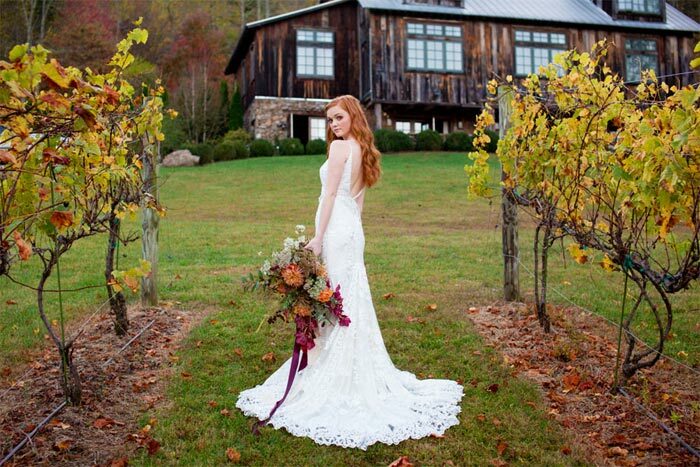 Romantic Fall Weddings in the North Carolina Mountains! 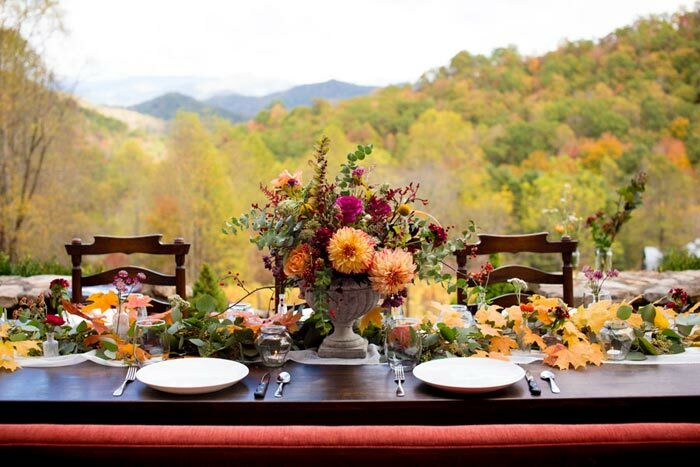 02 AugRomantic Fall Weddings in the North Carolina Mountains! 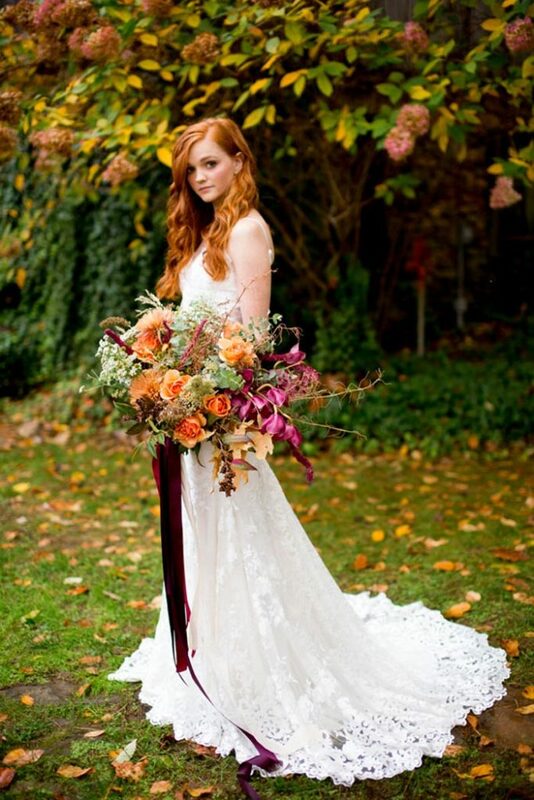 Fall weddings have become progressively popular through the years, especially in Western North Carolina. The Blue Ridge Mountains are well known for the beautiful fall leaves changing colors over the mountain tops. The fall colors are not only a tourist attraction to the Carolina mountains, but also bring inspiration to the people who live here. 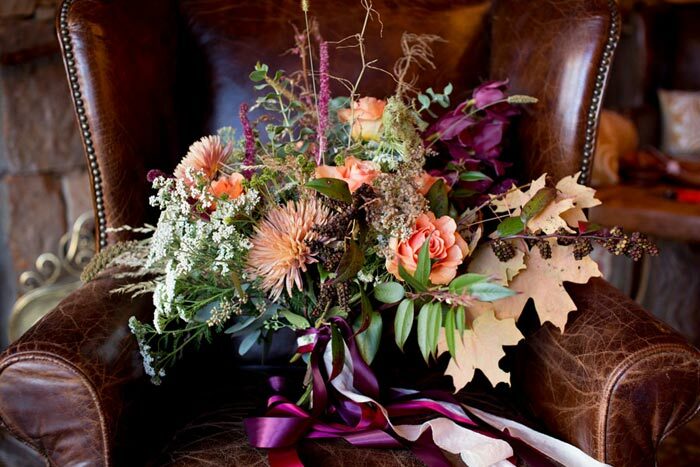 These natural fall colors can be easily incorporated into your wedding to translate a rustic feel. Popular colors for the Fall 2018 season include the essential: neutrals, burgundy or red variations, pale pinks, oranges, purples, and forest greens. 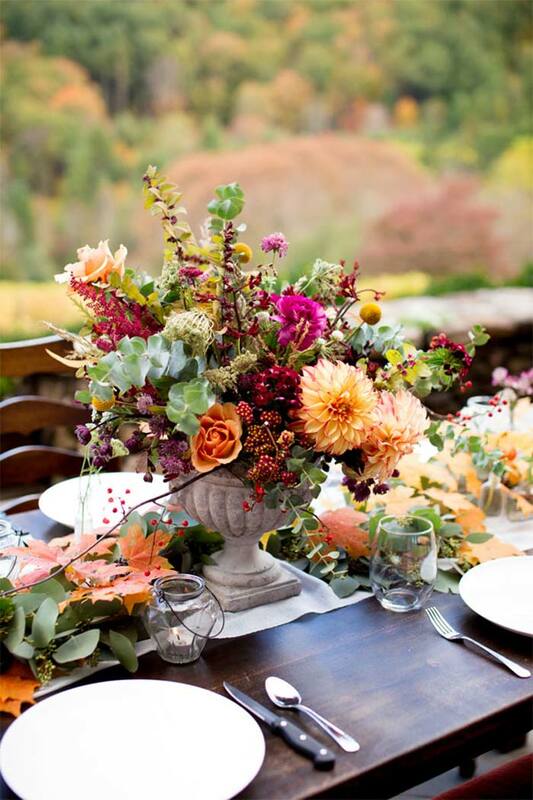 Incorporating these colors into your seasonal floral arrangements will give the wedding a great ambiance with a rustic, natural touch. 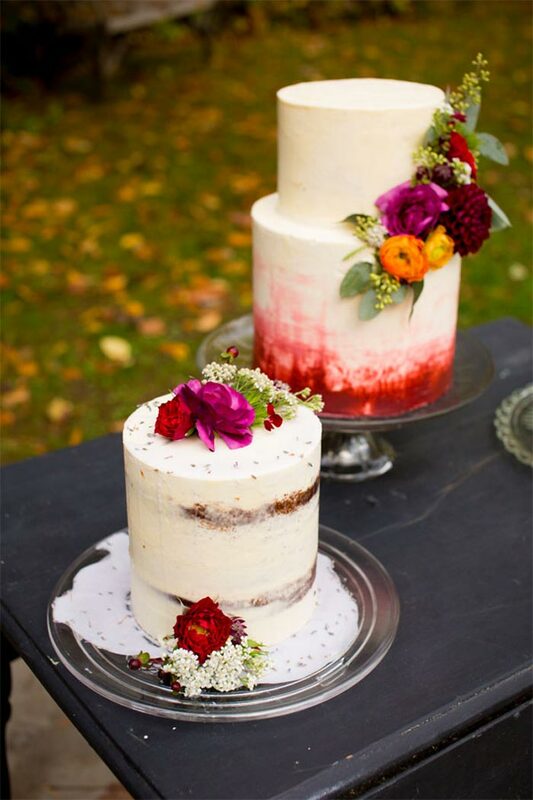 As for sweets for your wedding, the “naked cake” is on the rise for fall. These cakes are simplistic yet stunning and resemble the recent architectural trend of exposed beams. 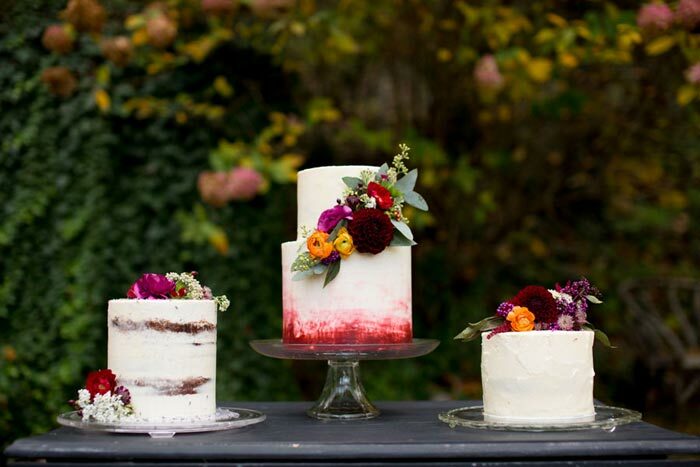 The exposed cake layers give the cake a look that is cohesive with the rustic and foraged trends for fall. Floral cake toppers are taking the place of the classic wedding cake topper and can easily tie in your wedding colors as well as your wedding floral arrangements. Feeding your guests has become a more casual occasion this wedding season. Rather than sitting down and having a pre-plated dinner; horderves, cocktails, and buffets are trending for weddings at anytime of the year. Seasonal vegetables and farm to table menus give guests a delicious, healthy selection. Materials that will go great with the rustic theme include burlap, twine, lace, velvet, linen, and satin. 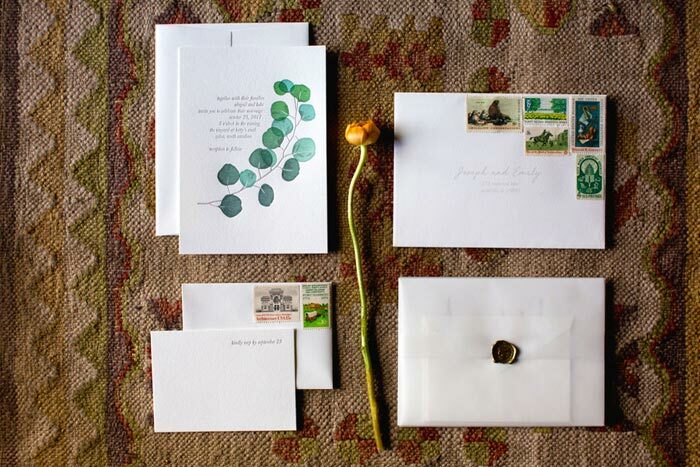 Not only will these materials go great with decor, but can also be incorporated in invitations, table setups, and bouquets. 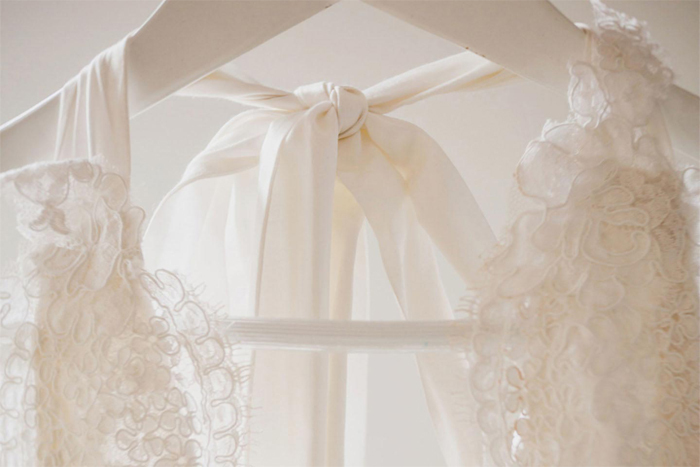 Intertwining lace into your wedding dress and matching complex lace patterns together for your dress will give it depth and an individualistic elegance. 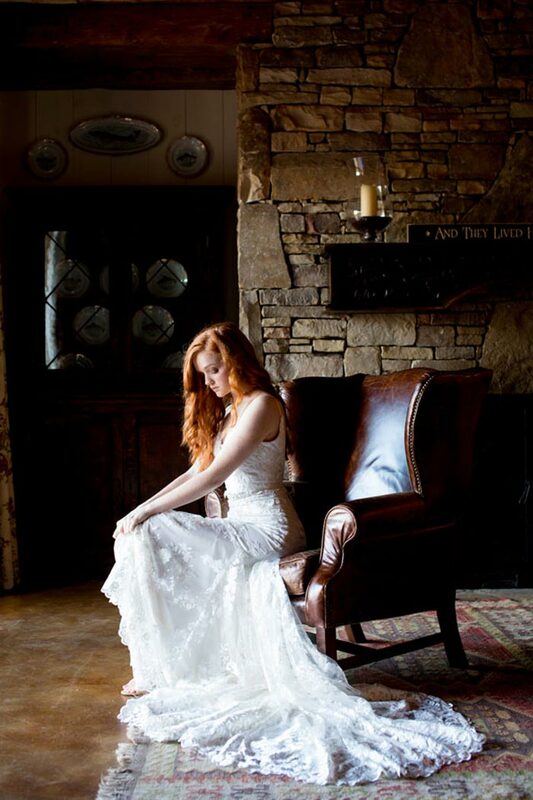 Complementing the lace with an elegant V-neck line and a deep-V back is a beautiful way to keep your dress simplistic, elegant, rustic, and timeless. 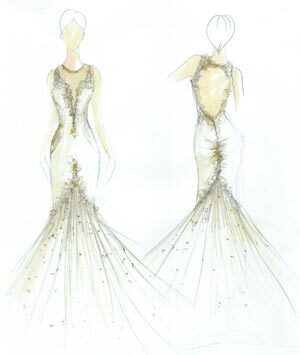 Accenting the dress with simple jeweled accessories is a perfect way to tie the ensemble together in a unique way. 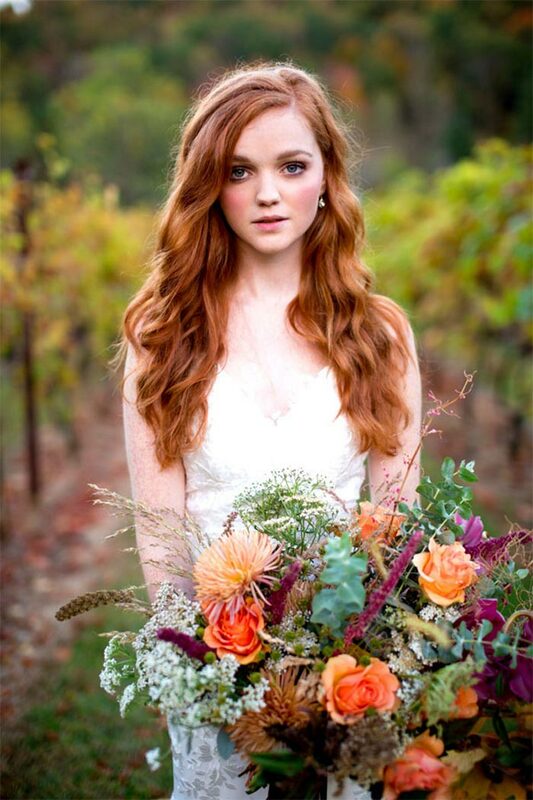 For makeup, showcasing and enhancing the bride’s natural beauty with neutral colors that compliment the bride create a look that is perfect for the wedding day.